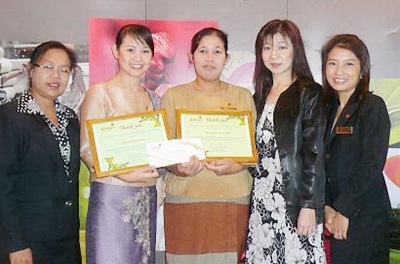 Arunee Sirsutharak, housekeeper at the Amari Rincome Hotel 3rd left, and Kotchakorn Chamsue, 2nd left, guest relations officer for the hotel, receive certificates of honesty from the General Manager, Niwatcharee Wangsunthorn, 2nd right, for returning $7,500 US forgotten in the safe of the hotel room by a guest after he had already checked out. 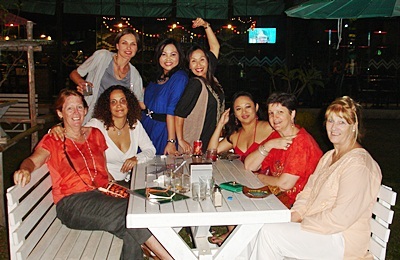 Miguel’s Mexican Restaurant and the Dining Guide organized a Ladies Night Out on Thursday February 4. 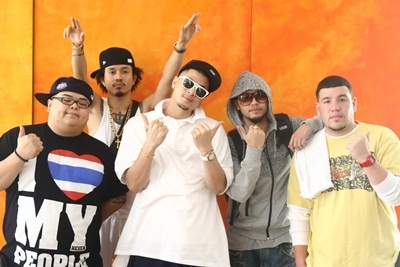 DusitD2 Hotel, Chiang Mai management welcomed guests to their hotel; Seed Radio FM 97.5 DJs and members of Thaitanium, K-otic, and Thai Koon during their visit to Chiang Mai for concert performances. The Oasis Spa (Thailand) led by Managing Directors Mr. Toby Allen and Mr. Pakin Ployphicha recently held a “Vintage Extravaganza Party” at Amari Rincome Hotel, Chiang Mai. 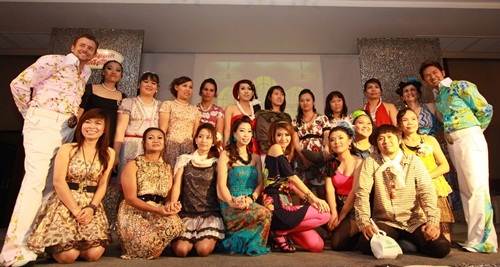 The event was aimed to encourage and reward the staff’s outstanding performance. It was thoroughly exciting and successful with a staff singing contest, and a lucky draw of presents supported by the spa’s business partners from all over Thailand.